Companies need to make sure they have a stellar online presence. For this, they need as many people as possible to test their websites, and they’re willing to pay for it. 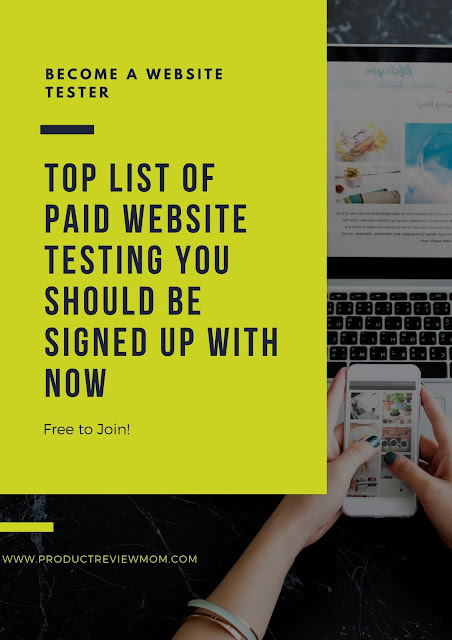 If you want an easy job that you can do from anywhere to get some extra money, then paid website testing is an excellent gig to add to your basket. These are the paid website testing services you should be signed up with right now! User Testing is one of the most popular testing companies around. All you need is a computer, an Internet connection, and a microphone to get started. You’ll typically be paid $10 for each test, which will be paid via PayPal seven days after the test is complete. To get started you’ll be asked to complete a sample test. This will last for up to 20 minutes and this sample will be used to decide if you’re approved for regular testing. They also offer app testing under the same terms. Another popular option is uTest. For this, you’ll also need a working webcam for testing. The pay you get depends on the project. For the most experienced testers, the pay can be quite significant. uTest is a part of the Applause network, which is a specialist user testing services group for websites and software. You should ideally have some experience prior to applying as this is the gold standard of testing. There are even bonuses available, depending on how good you are. They also offer app testing services available under similar conditions. Nichols Research is a general consumer research group working out of San Francisco. They test a variety of products, but they also test websites. Consumer research groups can entitle you to over $200 per assignment, in the right circumstances. However, standards are high for getting accepted and available projects usually depend on the demographic you fit into. This is best used as a part-time option. This subscription service will send you emails whenever there’s a new project available. Just fill in the accompanying survey and see if you qualify for the project. Pay varies, but you can get paid over $100 for an in-depth test. But you need a webcam and a microphone to participate. Amazon’s mTurk program pays you for completing tasks like reviewing websites. Payment comes in the form of bank transfer or Amazon Gift Cards. Pay varies because it depends which company is going through mTurk. However, most assignments seem to be valued at $10 each. Enroll is one of the best companies for pay out requirements. You need just $1 to get paid through PayPal. They pay once a month and you just need an Internet connection to participate. This is a simplistic version of website testing because assignments may just involve helping companies choose between different logos or reading short pieces of content. It’s one of the easiest testing services to get started with. For the ideal small, niche site, choose Analysia. Its members have extremely good things to say about this testing service. You need the full range of tools to participate, such as a webcam and a microphone. Each test pays about $10 and the site accepts practically anyone into its ranks. This is a good option for newbies. Test Birds is another good option for the newbie. There is an abundance of projects for both the starter and the experienced website tester. Assignments can pay up to $50, depending on how detailed they are. To gain access to these projects you’ll need to have an established history with the site, though. If you have a webcam more projects will be available. Complete a simple test to get started. Testing Time is aimed at the semi-experienced website tester. You get paid about $58 per test via PayPal or Direct Deposit. The catch is that you must have a PC or a laptop with Skype installed and a solid Internet connection. Most of the time, you’ll be working with a moderator and conducting the test live via Skype. Whether you’re selected depends on your past testing history with the site and the demographic you fall into. User Brain allows you to test both through your laptop and through your smartphone. Each task takes around five to fifteen minutes to complete, which makes this a great option for some side income on the go. All testing is done through the free app. Just download it, enter your information, and wait for tasks relevant to you to appear. Each task generally pays around $3 and is credited to your PayPal account weekly. These website testing options are a great option for earning a solid side income online. Which of these testing platforms are you going to try? For more testing opportunities at home. You're welcome girl!!! Hugs and Happy Monday to you as well!!! 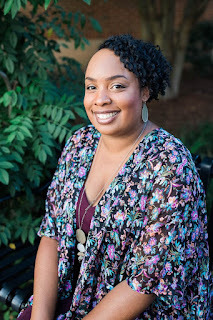 I will share this post with the attendees in my "Building Your Blog Workshop" - great post.